This hatch is made from 14 gauge galvanized steel. It is self-flashing (curb-mounted are available by special order). Hatches are welded, ground smooth, made weathertight and painted with a gray primer color. 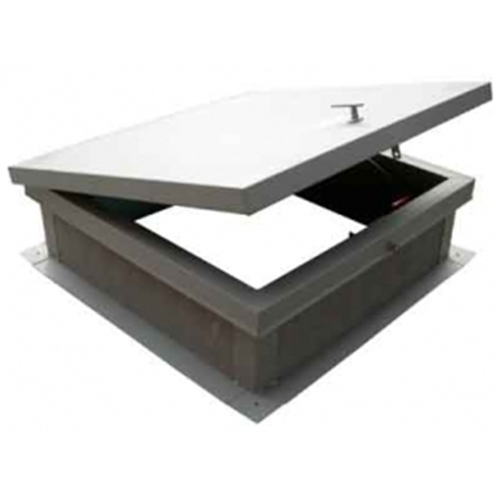 Hatch lid features a heavy-duty spring pivot hinge that is on the 2'6" side, insulated and opens to a 75 degree angle from the inside. Hatch is 13" to the top of the lid and 15" to the top of the handle.